Each ready-to-drink Ensure nutrition shake is a source of complete balanced nutrition according to Ensure.com. 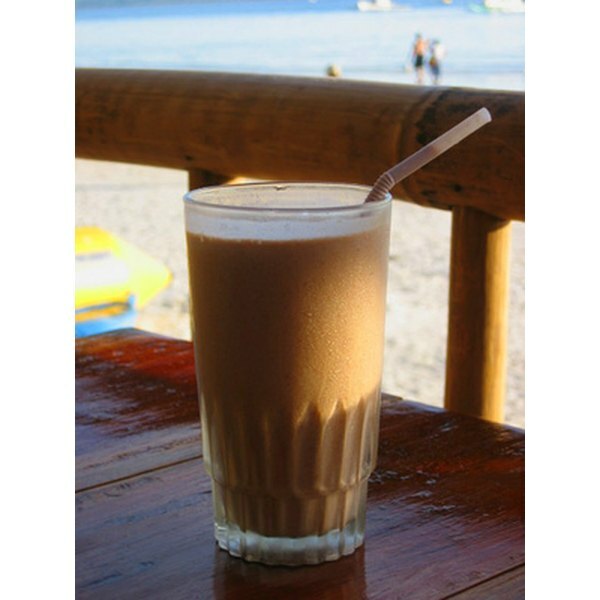 A variety of types and flavors of shakes are available to suit a range of needs. Nutritional shakes can be used as meal replacements or meal supplements, depending on individual needs. Ensure has 105 Calories and 3.80 g of Protein per 100 gram serving according to the nutrition facts provided by the USDA Food Composition Database. Ensure nutritional shakes can be used as meal replacement for individuals who are following a weight-loss program or as a meal supplement for those who need to gain weight or are following a weight-training program. Ensure shakes are also used for tube feedings. Ensure shake formulations are available for those who suffer from undernutrition and other health ailments such as immune deficiencies and bone problems. A standard Ensure nutrition shake contains 250 calories. Ensure Plus shakes used for gaining weight have 350 calories. Additional types of Ensure shakes have a range of 220 to 350 calories. The Ensure nutritional shake has 9g of protein, making up 18 percent of the recommended daily value. It has 6g of fat, which represents 9 percent of the recommended daily value for fat intake. The remaining varieties of Ensure shakes contain up to 13g of protein and 11g of fat, depending on their formulation. Carbohydrate content in Ensure nutritional shakes ranges from 31 to 52g per bottle. The standard shake is in the middle with 41g, with the bone health shake at the bottom of the range at 31g. The recommended daily value of carbohydrates in a 2,000-calorie-per-day diet is 300g. Vitamins and minerals account for 24 or more of the ingredients in Ensure nutritional shakes. Each variety of shake has 24 essential vitamins as well as omega 3 fatty acids. The bone health shake has increased vitamin D and calcium, whereas the muscle health shake has increased vitamin D, manganese and molybdenum.